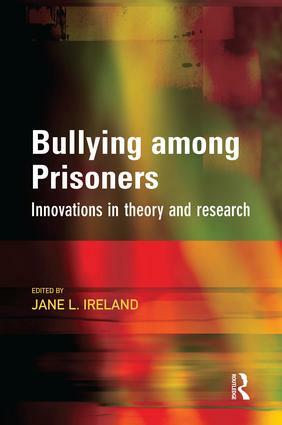 This book aims to present key aspects of the prison-based bullying research which has taken place over the last few years. It is a field in which there has been considerably increased interest. One of the main features of this book is the recognition that much previous bullying research has been descriptive in nature, with little underlying theory to assist its development as an area of academic interest. In addressing this need this book will serve as an indispensable resource for students, academics and professionals with interests in this field. Chapters in the book address the following areas: need for innovation in prison bullying research, statistics on bullying, combining methods to research prison bullying, bullying behaviour among women in prison, bullying and suicides in prisons, developmental antecedents of prison bullies and/or victims, applying evolutionary theory to prison bullying, applying social problem solving models to prison bullying. Prison bullying and fear: can fear assist with explanations of victim responses?